At the pediatric dental office of, Dr. Ralph Zotovich we specialize in treating children from infancy through their teenage years. Our dentist understands that some children need help relaxing when they visit the dentist. To accommodate this need, we provide sedation dentistry in San Jose. Dr. Zotovich and his team work together to provide an improved experience for our young patients and offer several sedation options to maximize comfort during treatment. 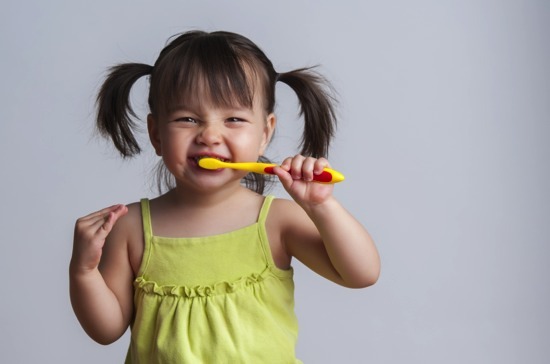 When do Children Need Dental Sedation? Our sedation options include nitrous oxide, conscious sedation (a safe, non-narcotic oral sedative) I.V. sedation, and general anesthesia. Nitrous Oxide – This mild form of sedation is often referred to as laughing gas. Nitrous oxide is an inhalant that relaxes your child while they remain awake. Your child will be alert and able to respond to our San Jose sedation dentist during treatment. Nitrous oxide is flushed out of your child’s system with pure oxygen within minutes of completing the procedure. There are no residual side effects. Oral Sedation – For children with severe anxiety, this oral form of sedation is given to your child in our office prior to their procedure. During treatment, children may fall asleep or remain in a relaxed state with no memory of their time in the dental chair. Patients may go home and sleep away any of the residual sedation effects. Intravenous Sedation - Commonly known as I.V. sedation, intravenous anesthesia provides a way of effectively completing dental care while your child drifts off to sleep. You can be confident knowing that I.V. sedation is commonly used to help children through dental procedures. General Anesthesia – For use with more extensive treatment. Our anesthesiologists are residency trained, highly skilled, and experienced in the delivery of intravenous anesthesia. The use of I.V. sedation allows Dr. Zotovich to complete several dental procedures in just one appointment, without fear or any memory of their treatment. Your child's safety is our primary concern. You can rest assured knowing that I.V. sedation is commonly used to help children through dental procedures. Our anesthesiologists are experienced health care providers and are residency trained in the delivery of intravenous anesthesia. Dr. Zotovich offers different levels of sedation to address the unique needs of each of his pediatric patients. Parents are invited to discuss sedation options with Dr. Zotovich to fully understand which method would best improve their child’s comfort during treatment. To learn more about dental sedation for children in San Jose, call Dr. Ralph Zotovich today!